All but three of the fourteen who volunteered came back. The St. Jacques men who enlisted in what was to become known as The Great War were not familiar with the sounds of artillery exploding or the whiz of bullets passing inches from their heads. Nor were they familiar with death on an unimaginable scale. Had they known, their zest to volunteer might have been tempered. However, they did volunteer and they brought home with them the sounds of explosions in their heads, the smells of death and the horror of what trench warfare did to human beings, along with the physical injuries they suffered. The stories of these men from St. Jacques haven’t been well documented and now are scarcely remembered. Our contemporary understanding of Newfoundland’s participation in WW I is largely defined by the Battle of Beaumont Hamel and the enormous tragedy that it was. Yet, our volunteer soldiers, for we had no formal national fighting force at the outbreak of the war, fought courageously throughout Europe. Many volunteered for the Newfoundland Regiment. Others served in the Mercantile Marine, the Voluntary Aid Detatchment, the Newfoundland Overseas Forestry Core, and the Canadian Expeditionary Force. There were others who served with British Naval Forces. These were the members of the Royal Newfoundland Naval Reserve. Much has been written about the large numbers of volunteers who came forward and served with the Newfoundland Regiment. Much has also been written about the actions and loss of lives suffered by that fighting force. It is widely believed that the Regiment was Newfoundland’s first group of soldiers to be dispatched to fight for the Commonwealth; however, that was not the case. It was the 106 seamen of the Royal Newfoundland Reserve who sailed on the H.M.S Niobe from St. John’s on September 6, 1914 that were the first Newfoundlanders to take up active service. Newfoundlanders served on all classes of British warships. The Reservists were present at the Dardanelles during the Gallipoli campaign in 1915. They were also on war ships at the Battle of the Falkland Islands which took place on December 8, 1914. Some of the Newfoundland Navy volunteers participated in the Battle of Jutland on May 31 and June 1, 1916. Most of these ocean going men were involved in patrol work trying to prevent German ships from bringing supplies to Germany and in convoy support for Allied ships crossing the Atlantic where they were engaged in mine-sweeping operations. Others served as gun crews on merchant ships which carried defensive equipment. The St. John’s Daily News of August 15, 1914 reported that a vessel had visited St. Jacques on August 11th, 1914, picking up Naval Reservists. 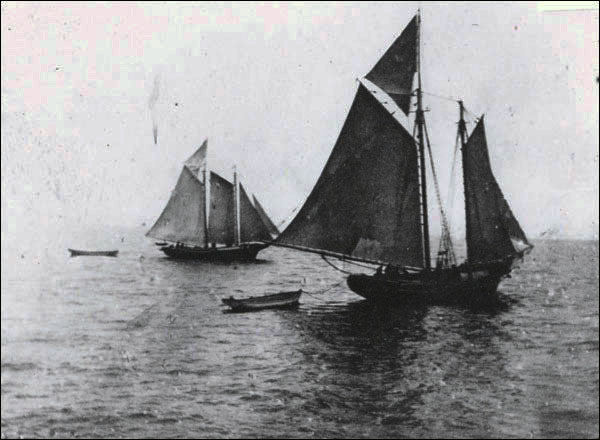 A motorized schooner known as a jack boat, The Caramel, owned by the Roman Catholic priest of the Sacred Heart Parish in St. Jacques, Father Patrick W. Brown, was employed by Harry R. Clinton to travel throughout Fortune Bay picking up members of the Naval Reserve. Clinton reported that “every man is enthusiastic and wants to go to the front, to take a hand fighting for the Empire.” Clinton was the ‘government man’ in St. Jacques which we can see by the positions he held. He was chairman of the local road board in St. Jacques, Customs Officer, and member of the local school board as well as Relieving Officer. It is interesting to note that the news story spoke of picking up only Naval Reservists. 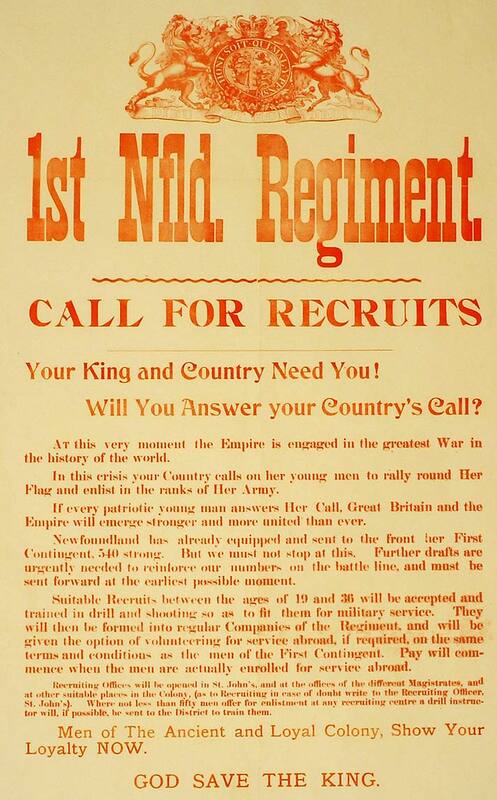 Up to this point in Newfoundland there had not been a call for volunteers to fight the war. The big recruitment efforts throughout the island were yet to come. The date of this event, August 11, 1914 is but seven days after Britain had declared war on Germany. There was heightened awareness throughout Newfoundland that summer that a European war was a distinct possibility. Signs of that inevitable event were emerging as the summer passed its mid-point. In anticipation of war, on August 02, 2014, the Naval Reservists were called to active duty. War was becoming a reality for Newfoundlanders. There was concern that some of the Reservists might be reluctant to come forward since it was at the height of the summer fishing season; however, that was not the case. Posters were placed throughout St. John’s and other communities notifying Newfoundland reservists to report to the HMCS Calypso as quickly as possible. Another vessel, the S.S. Kyle was dispatched to pick up reservists in coastal communities. Magistrates throughout the country were notified that reservists were to report immediately to St. John’s. 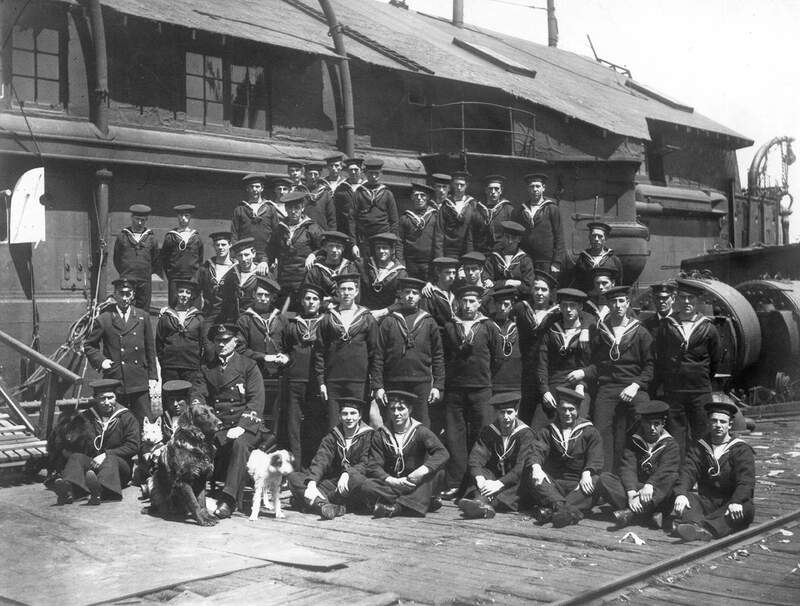 The Newfoundland Royal Naval Reserve was established in 1902 with about fifty members who were trained with the British Royal Navy. 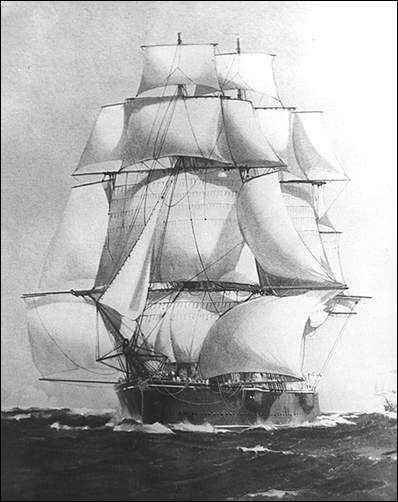 Later that year Britain made available a steam and sail powered training ship, HMS Calypso to be used for training of Reservists. Volunteers from around the island travelled to St. John’s for a month of training after which they agreed to be available for active service for a period of five years. In 1903 the Reserves had 375 members. By the start of the war there were almost six hundred which grew to almost two thousand by 1918. 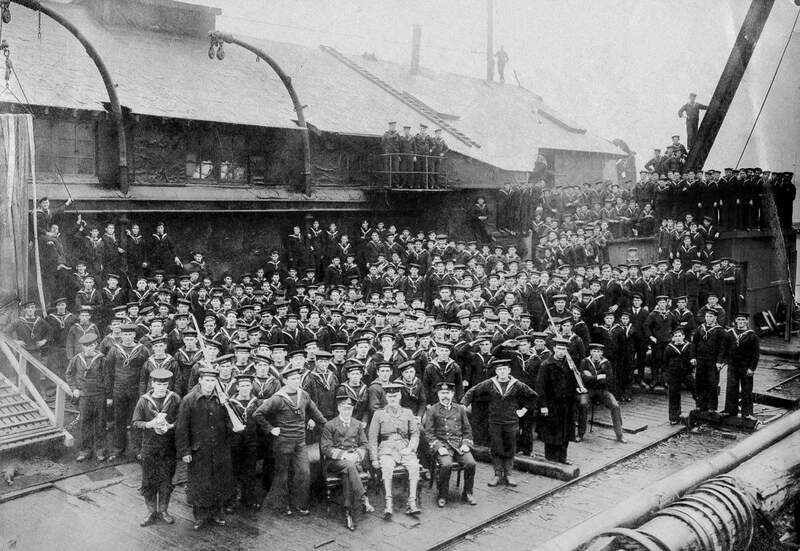 The Reserve suffered 179 casualties and 125 were discharged as wounded during the war. It was disbanded in 1921. Members of the Royal Newfoundland Reserves did not fight as a single unit. They were disbursed throughout the British Naval Force where they served to great acclaim. Recruitment in St. Jacques in 1914 was carried out from the church pulpits, public meetings and at any opportunity where people gathered. 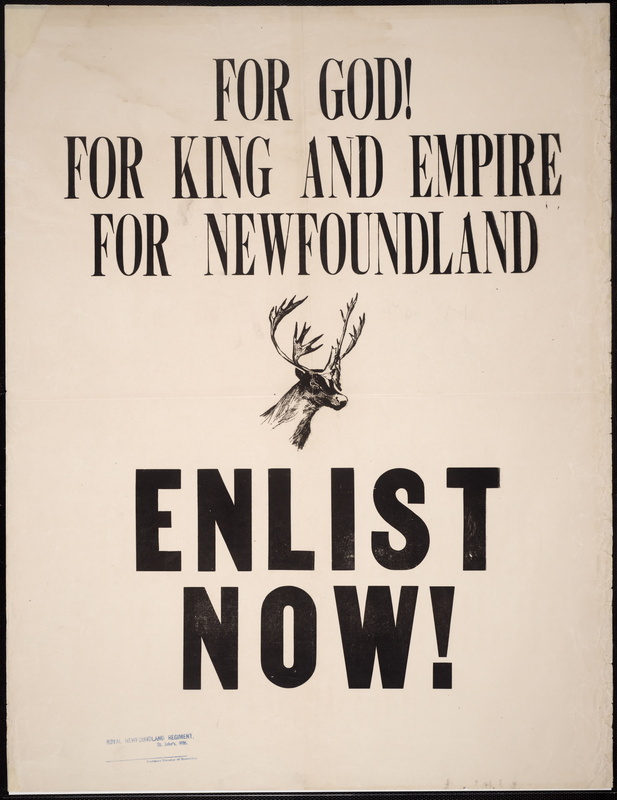 The message was the same there as it was throughout the Colony; a call to every young Newfoundlander to rally around the flag of Great Britain and to volunteer to fight for King and Country. They were told that Great Britain now needed the men of its colonies to come to its defense. Recruitment teams travelled to coastal communities giving presentations and encouraging people to volunteer. On August 13, 1914 a local St. John’s newspaper reported that a very well attended public meeting had been held at the at the C.L.B Armoury on August 12, 1914, “ to consider the question of enlisting volunteers for land service abroad and home defense during the war. All classes were represented and the greatest enthusiasm prevailed.” The meeting was called by His Excellency Sir Water E. Davidson, the Governor of Newfoundland, and the official representative of the British crown. He told the crowd, “Newfoundland must do her part laying claim as we do to being the oldest and the most loyal colony.” On August 22nd a call for volunteers was issued across the Dominion of Newfoundland. Initial recruitment efforts in St. John’s were quite successful largely due to already existing cadet groups and the presence of strong social organizations which threw their support behind the efforts of the Newfoundland Patriotic Association which was set up to oversee recruitment. As far as I have been able to determine there was only one of the men from St. Jacques who served as a Naval Reservist; that was William G. Skinner. Six others volunteered with the Newfoundland Regiment, five served with various Battalions of the Canadian Army, one served with the Nova Scotia Regiment and another served in the Mercantile Marine. Of these men who served three died during the war, one was taken as a prisoner of war and eventually repatriated. The other ten returned with their scars and memories. When I first became interested in who served in WW1 from St. Jacques I knew of only one – Frank Burke, whose name appears on a plaque on the wall of Sacred Heart Church in the community. The plaque commemorates the fact that Lt. Francis M. Burke gave his life on October 14, 1918, less than a month before the end of the war. Frank, as he was known, was the son of Patrick and Alice (Mullowney) Burke. Later I discovered that the Baptismal Font in St. Michael’s and All Angel’s Church in the community is dedicated to the memory of John Evans who was lost on the schooner Elsie Burdette. He was lost at sea when the schooner he was sailing on was torpedoed on March 18, 1918 somewhere west of Portugal. John was the son of William and Mary Evans. The third man to give his life was Francis R. Burke who served with the Canadian Overseas Expeditionary Unit. He was killed on March 23, 1916. Francis was the son of Denis and Alice (Marshall) Burke. William G. Skinner was the first man from St. Jacques to leave home to fight for “king and country” that summer. One can only imagine the thoughts that went through his head and those of his family as he boarded The Carmel down at the government wharf. How many of the people who lived in St. Jacques at that time gathered at the wharf to see him off? How many of them wondered if their son or daughter would be next? And they were next, thirteen more of them, three of whom never returned. Take a couple of minutes to listen to Bud Davidge sing The Blue Forget-Me-Not. Click on the following links to explore resources related to this post and Newfoundland’s role in World War 1 in general.